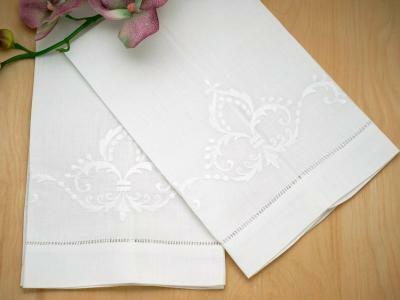 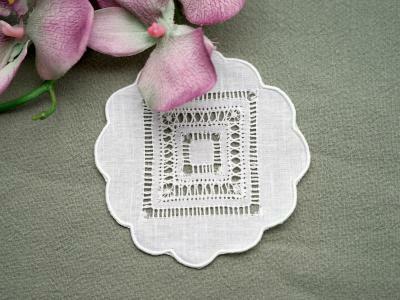 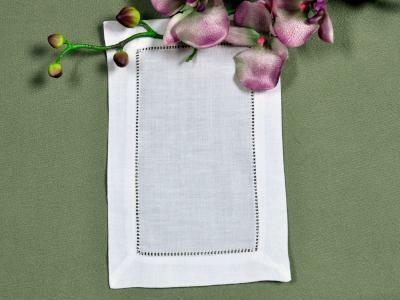 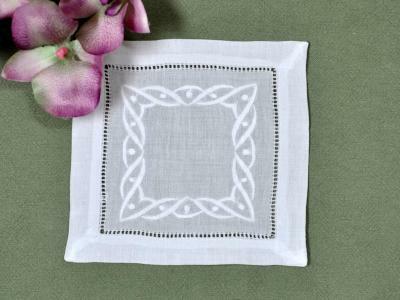 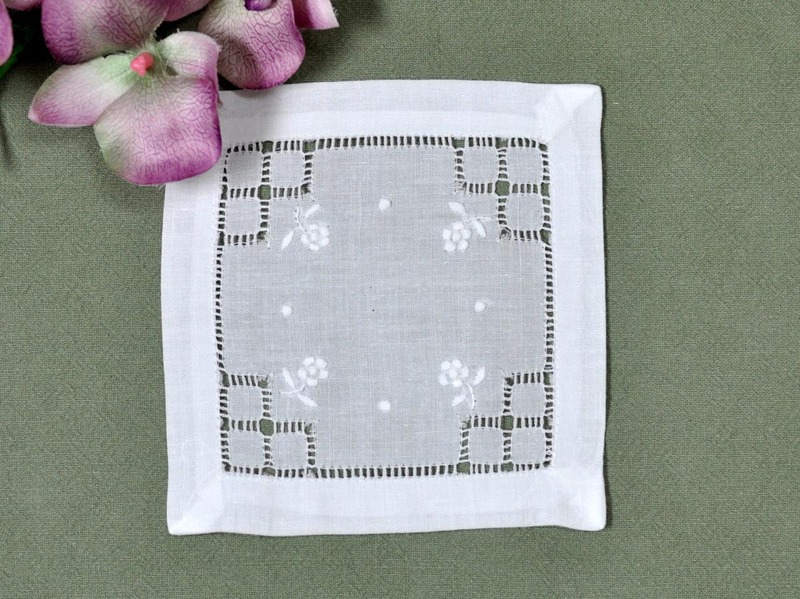 Using extremely fine needlework techniques, this set of 12 white linen cocktail napkins are decorated with small daisies and small squares formed by hemstitching. 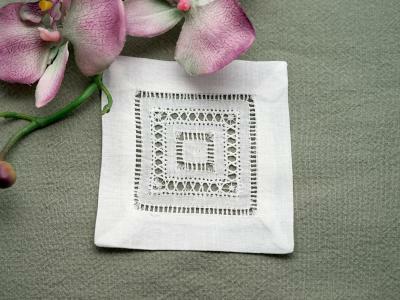 Each cocktail napkin measures 6" x 6" and is made of white linen. 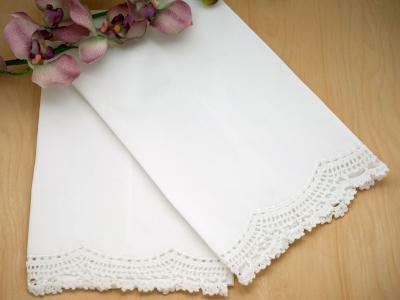 Very classy and will dress up any party.